Prepare to spend a lot more time on Instagram. The Facebook (FB)-owned platform is rolling out a new hub for long-form, vertical video. Instagram announced the new feature at a press event on Wednesday. The hub, called IGTV, will live within the regular Instagram app. It will also get its own standalone app in the coming days. Anyone will be able to post to IGTV, but Instagram users with 10,000 followers or more will be able to post videos up to an hour long. Users with fewer followers can post up to 10 minutes of video. Instagram video posts were previously capped at 60 seconds. The company has tapped celebrities such as Kim Kardashian West and Selena Gomez who will be among the first to upload longer-form content to their accounts on Wednesday. 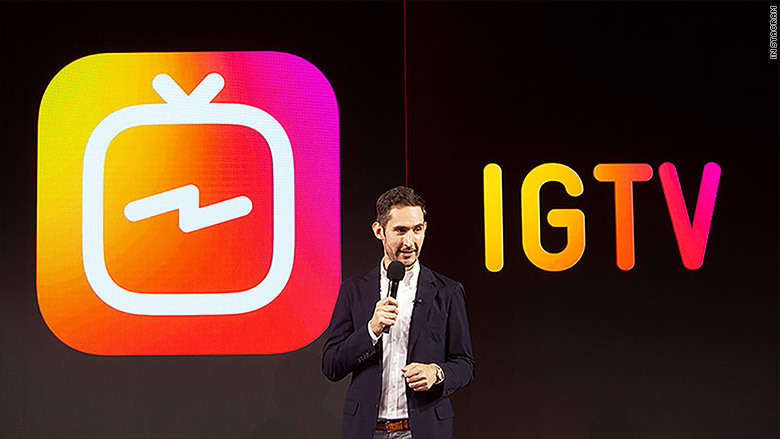 In addition to IGTV, CEO Kevin Systrom announced a company milestone: 1 billion monthly active users now use Instagram, up from 800 million active users in September. 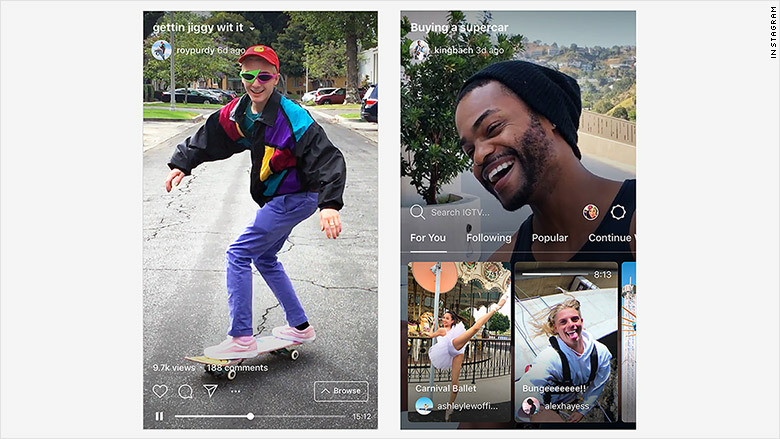 IGTV is reminiscent of Snapchat's Discover page, which features stories from publishers and creators, and curated posts from its community. Snap, Snapchat's parent company, launched Discover in 2015 with a number of media partners, including CNN and Buzzfeed. It paid licensing fees to publishers up until recently when it reportedly shifted to an ad-based model only. "Ads will not be part of IGTV at launch, but we'll be exploring and test ways to help creators monetize after launch," a spokesperson told CNNMoney. Analysts are also comparing IGTV to Google-owned video platform YouTube. 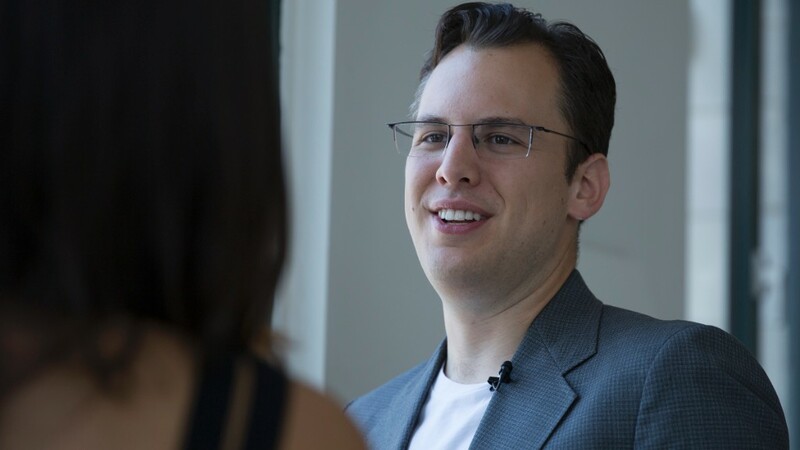 According to media and technology analyst Rich Greenfield of BTIG, Instagram users were already using its Stories feature to link out to YouTube to direct followers to longer-form videos. "Now, Instagram can keep that in-house, and drive greater engagement and time spent," Greenfield told CNNMoney. "I think this is a natural evolution from pictures to video, to stories and now to long-form video to capture as much human attention as possible." Instagrammers are spending more time than ever looking at photos, videos and memes, the company previously told CNNMoney. Users under the age of 25 now spend more than 32 minutes each day on the platform, while users age 25 and older use the app for more than 24 minutes. While IGTV may lead people to spend more time on Instagram, Systrom previously promised to roll out a tool that will tally time spent on its app. "Any time should be positive and intentional," he tweeted last month.